MANILA - The Department of Tourism on Thursday said 7.1 million tourists arrived in the Philippines in 2018, an all-time high record even if top destination Boracay was closed for 6 months. A total of 7,127,168 foreign tourists visited the Philippines last year, a figure that is 7.65 percent higher than 2017's 6.62 million arrivals, the DOT said in a statement. The Philippine tourism was above the 6 percent average tourism growth in the Asia and the Pacific, the DOT said, citing data from the United Nations World Tourism Organization (UNWTO) World Tourism Barometer. The record-high increase was due to the appreciation for other destinations in the country, Tourism Sec. Berna Romulo-Puyat said. "The challenging act of closing down Boracay- a flagship destination, the country’s top sun-and-beach destination has evidently become a blessing in disguise for secondary tourism spots to have a share of the lime light and attention they truly deserve," she said. "It shows that turning off the faucet when the water is unclear can bring a fresher flow in just an unexpected period of time," she added. 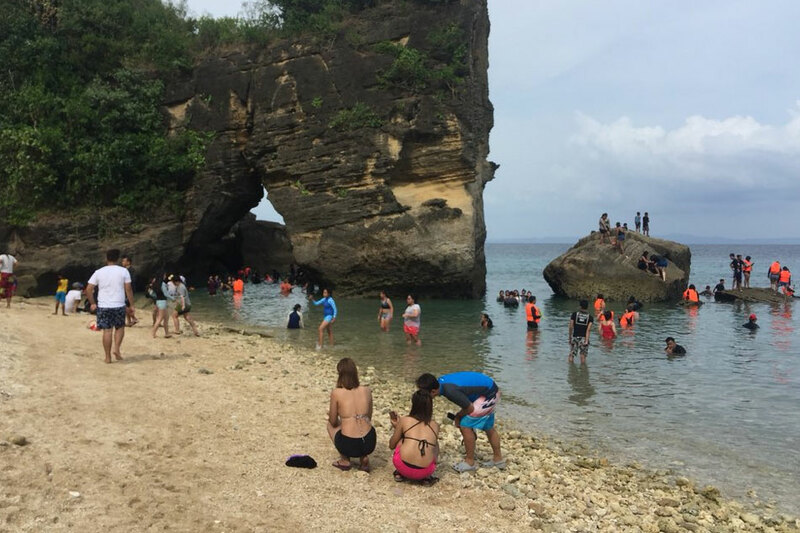 Among the "alternative destinations" for tourists during Boracay's half-year rehabilitation closure were Siargao, Iloilo, Palawan, La Union, Romblon, and Siquijor. South Korea was still the top tourist market for the Philippines with 1.58 million arrivals. China ranked second with 1.25 million tourists, a 29.62 percent growth from the number of Chinese tourists in the Philippines in 2017. USA remained at third spot with 1.03 million, followed by Japan with 631,801 arrivals, and Australia with 279,821 visitors. Most of the foreign visitors arrived in December and January 2018, the DOT said. The agency seeks to continue its shift from "mass tourism" to "high-value tourism" to attract more guests, and preserve the environment at the same time, Puyat said. "[We will] prioritize quality over mere quantity," she said. "We are now in a time in need of vigilance - a dedication to the principle of a sustainable and inclusive tourism industry,” she said.